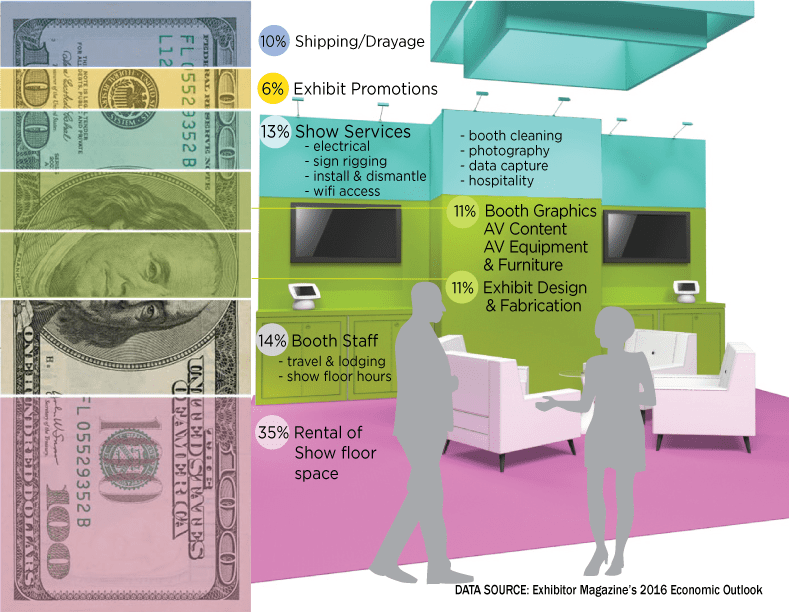 According to Exhibitor Magazines 2016 Economic Outlook Survey, more than half of the respondents have tentative plans to purchase a new exhibit, with 25% reporting definite plans to do so. Nearly nine out of ten surveyed individuals reported that they are confident that their trade show programs will achieve better results this year than last, citing everything from improved execution to redesigned exhibits as justification for their optimism. The below exhibition budget breakdown reflects where dollars were allocated per event in 2016. Why do so many firms allocate so much of their annual marketing budget to event marketing? Because face-to-face engagement yields higher results for lead generation, reputation building, and brand loyalty than other marketing channels. To get more exhibiting tips and resources, subscribe to our quarterly Evo Exhibits e-newsletter.